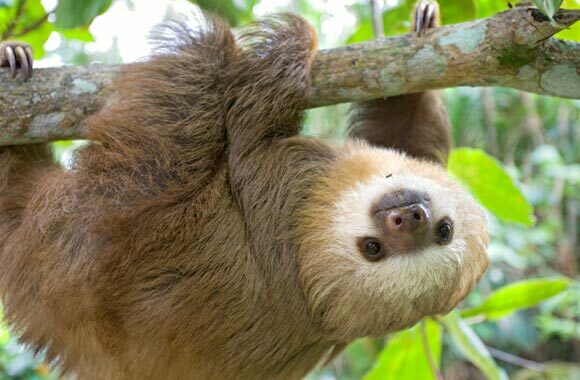 Founded on the idea that every single person has the ability to make a positive difference, the Sloth Conservation Foundation aims to stimulate progressive change by inspiring individuals to care about sloths, to protect the rainforest ecosystem and to safeguard a future for the planet that we all share. You can make a difference. As a non-profit organisation, we rely on your support to make our work possible. 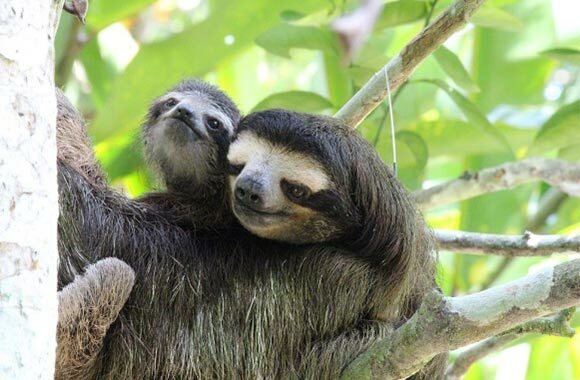 There are many ways in which you can help to protect a future for sloths: commit to donate, adopt a sloth, volunteer, fundraise for us, browse our online shop or simply spread the word by sharing our page! 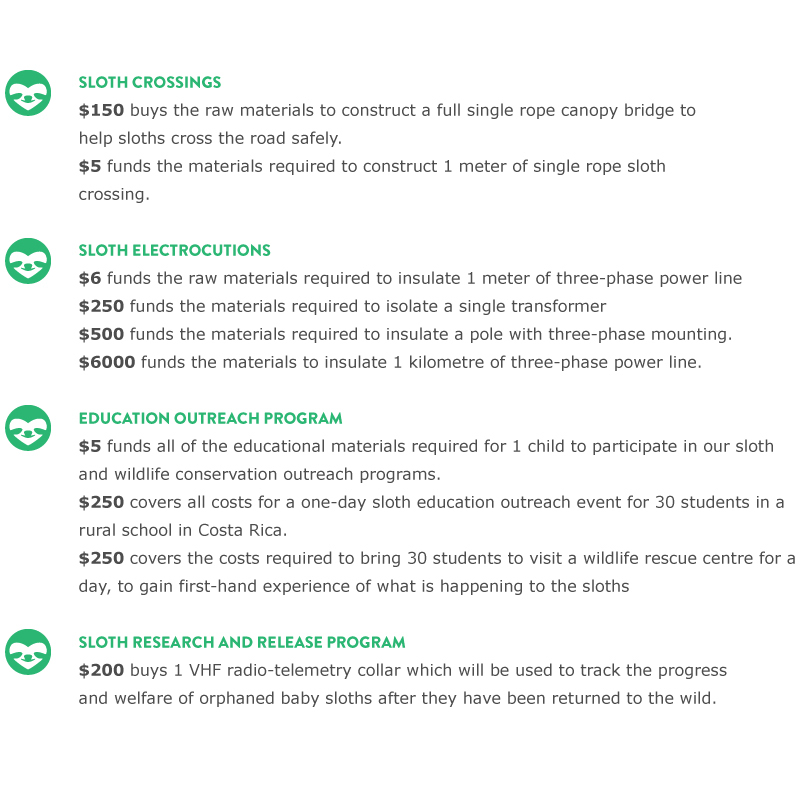 Help us to help sloths! Choose between a monthly subscription or one-off donation, and choose which of our current conservation projects you would like to support. 100% of your donation will go towards funding the in-field costs of completing your selected project! Adopt a sloth today for just $5 a month! Perfect as a gift for friends, family or yourself. 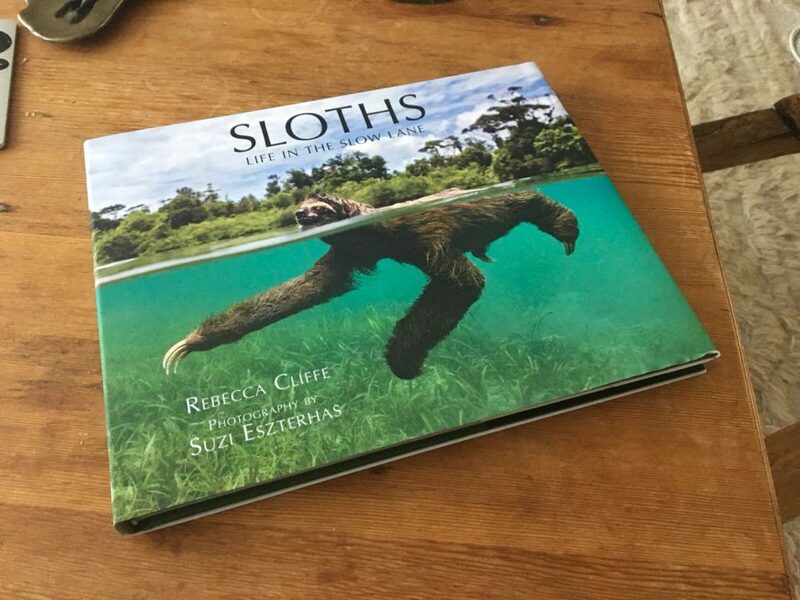 You can choose between a virtual or physical adoption package and 100% of proceeds go towards supporting the missions of the Sloth Conservation Foundation. Find out how you can get involved – we are always looking to expand our team and advisory board. If you love sloths, would like to help us in our mission, have specific skills which you think may be beneficial, and are up for a challenge then we may have a position for you! Your purchase will make a difference. As a non-profit organisation, we rely on your support to make our work possible. 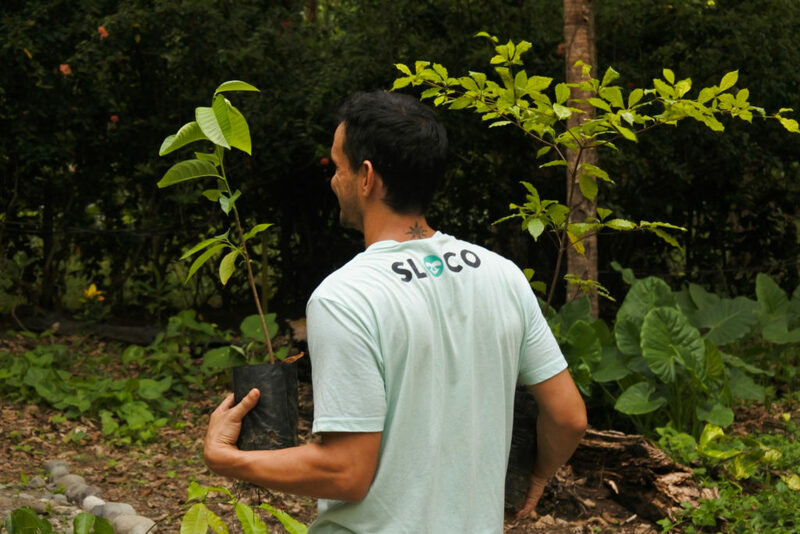 Browse the exclusive sloth merchandise available in our online store and all proceeds from sales go towards supporting our conservation efforts.